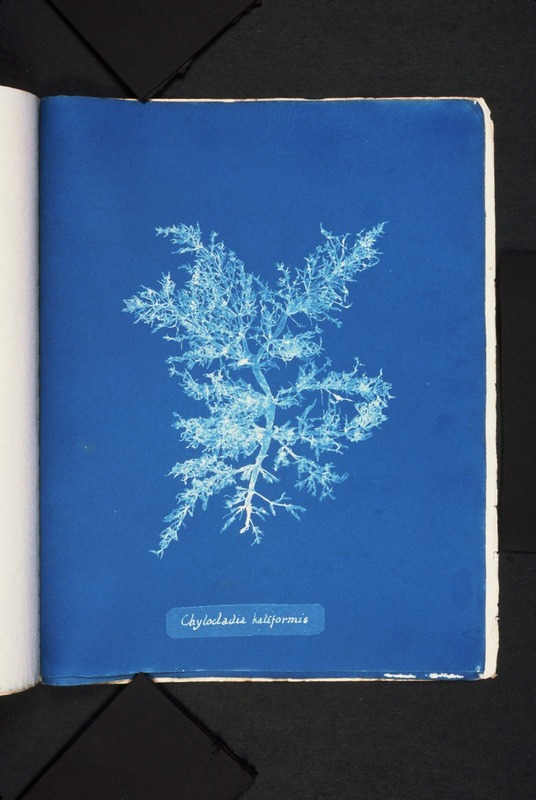 Atkins is best known for her cyanotype photographs of British seaweed, documented from her personal collection. 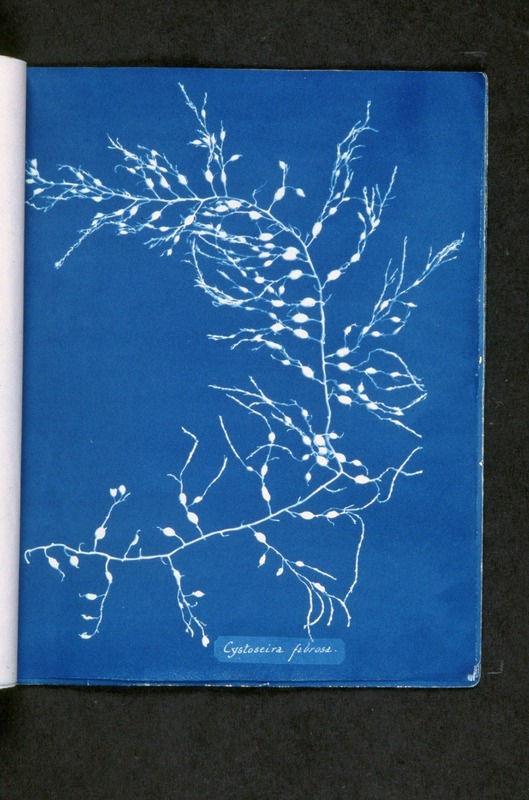 It is almost certainly the first book to be illustrated with photographs, which are actually all contact prints, made with the seaweed directly on the photographic paper which is then exposed to light to develop it. As a result, the images are extraordinary, both natural and abstract and deeply inspiring. 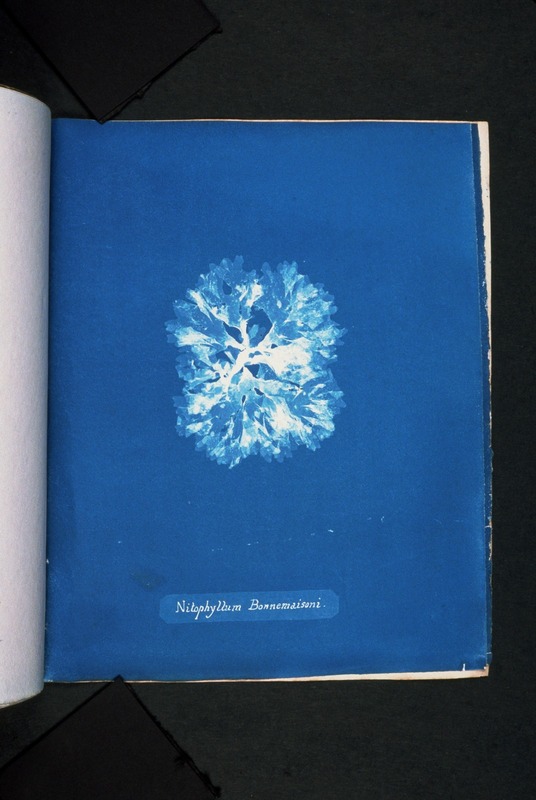 I love cyanotype photography – Prussian blue is one of my favorite colors, I love botany, I love looking at specimen books. If I ever become spectacularly wealthy I would love to own one of Atkins’ original prints; in the meantime I spend time looking at them via NYPL digital collections. Beautiful. Collecting, pressing, and preserving marine algae (and terrestrial plants) were favorite hobbies that pulled me to science. Aren’t the images spectacular? I would actually love to do a big art project inspired by them – it’s on my list of things to do during my impending post-PhD funemployment.